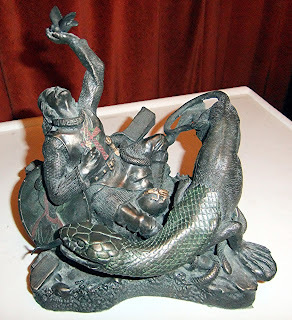 CALIFORNIA'S SNAKE-HEADED DOG - A MODERN-DAY QUESTING BEAST? Time to re-open the file on another overtly bemusing mystery beast, methinks. Some of the most intriguing cryptids are those that feature in just a single report and are never heard of again...or are they? 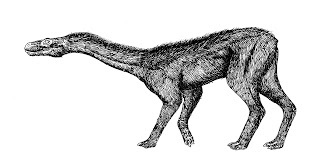 On 24 May 1996, a bizarre dog-like beast 4-5 ft in total length, but with a sleek serpentine head, red reptilian eyes, a slender 24-30-in neck, shaggy black fur, long hind limbs, shorter forelimbs, and no tail at all, ran out in front of the car driven by Sheila Charles as she was taking her son Shane to school in Magalia, California. She swerved to avoid hitting the creature, and veered out of control into a canyon. Fortunately, no-one was badly injured, and the mysterious beast's reality was later confirmed by the driver of the car following her, who had also seen it. The only published account of this dual-eyewitness encounter dating from that time period that I have seen appeared in UFO News World Report, 1996. But could there be other sightings of it on record, and does anyone have any thoughts as to what this extraordinary beast may have been? If the answer is yes to either of these questions, I'd love to hear from you, so please post your data here! 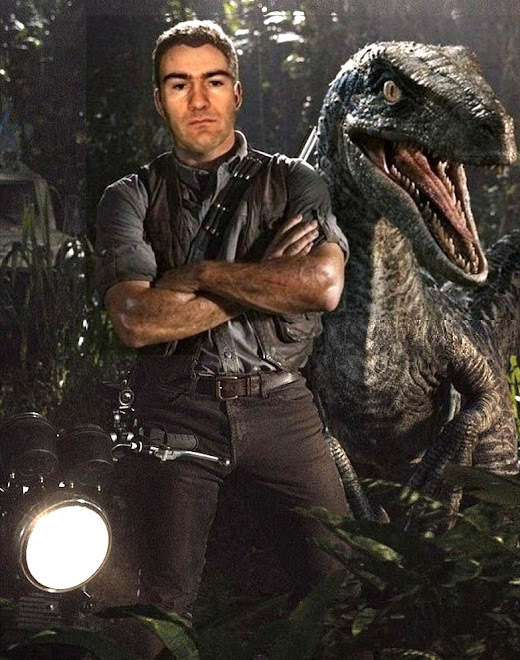 Incidentally, I am greatly indebted to Australian colleague and FB friend Ian Thomas for reminding me that there is one creature on record that shares a degree of similarity with this extraordinary creature. 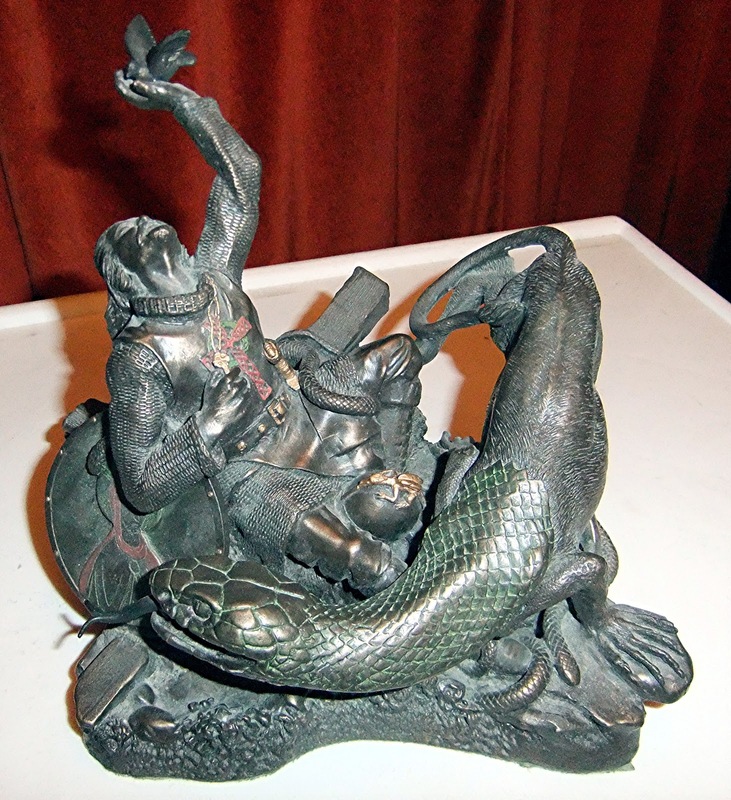 None other than Glatisant, the snake-headed, hound-baying Questing Beast of Arthurian legend! 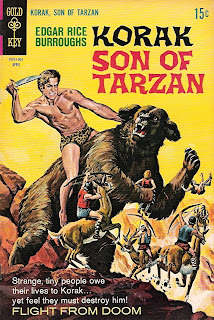 In a previous ShukerNature post (click here), I stated that as far as I was aware, the only comic ever to feature Africa's most ferocious mystery beast, the dreaded chemosit or Nandi bear, in a starring role was the March 1963 issue of Gold Key's 'Tarzan' - in which Edgar Rice Burroughs's most famous creation confronts and conquers the rapacious cryptid originating from Kenya's dense Nandi forest. This comic had been brought to my attention by Swedish Facebook friend and folklorist Håkan Lindh. 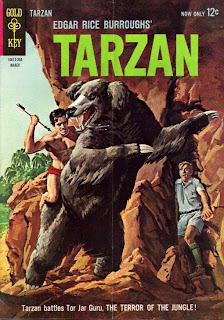 Now, Håkan has revealed an equally exciting sequel-style discovery - a second comic starring the Nandi bear. Moreover, keeping the history of cryptozoological confrontation in the family, as it were, the comic in question is none other than the April 1969 issue (#28) of Gold Key's 'Korak Son of Tarzan'! As illustrated on its front cover (the picture that opens this present ShukerNature blog), the story is entitled 'Flight From Doom', and this time the Nandi bear is terrorising a race of mini-people, but is thwarted by Tarzan's son, Korak - only for the mini-people to turn on him! There's gratitude for you! Thanks for informing me of this second Nandi bear-featuring comic, Håkan! THE SPINY-BACKED CHIMPANZEE – A CONGOLESE CHUPACABRA CHIMP! In an ongoing occasional series, previous ShukerNature posts have documented a number of once- and still-controversial forms of chimpanzee – the pygmy chimpanzee or bonobo (click here), the koolookamba (here), Ufiti (here), ape-man Oliver (here), and the Bili ape (here). None, however, is as bizarre as this series' latest example – the little-known yet truly extraordinary spiny-backed chimpanzee reported from the Democratic Republic of Congo. The only information concerning this anomalous anthropoid currently known to me is a short account that appeared in Philippe Coudray's self-illustrated book Guide des Animaux Cachés (2009). According to Coudray, a member of a unit from the United States Navy who wishes to remain anonymous has claimed that during a mission to the Democratic Congo sometime between 1997 and 2002, the unit's team encountered 13 bipedal chimpanzees that were attempting to kill another animal. Standing 4.5-5 ft high, they were uniformly grey in colour, but by far their most distinctive feature was the series of spines running down each chimp's back, which stood up like porcupine quills whenever the chimps became agitated. Coudray also stated that the team actually shot a three-minute video film of these extraordinary apes, but that it remains a military secret. The precise location of this sighting is unknown, but as the team was from the US Navy and the Democratic Congo is virtually landlocked, it may have been somewhere close to Lake Tanganyika. 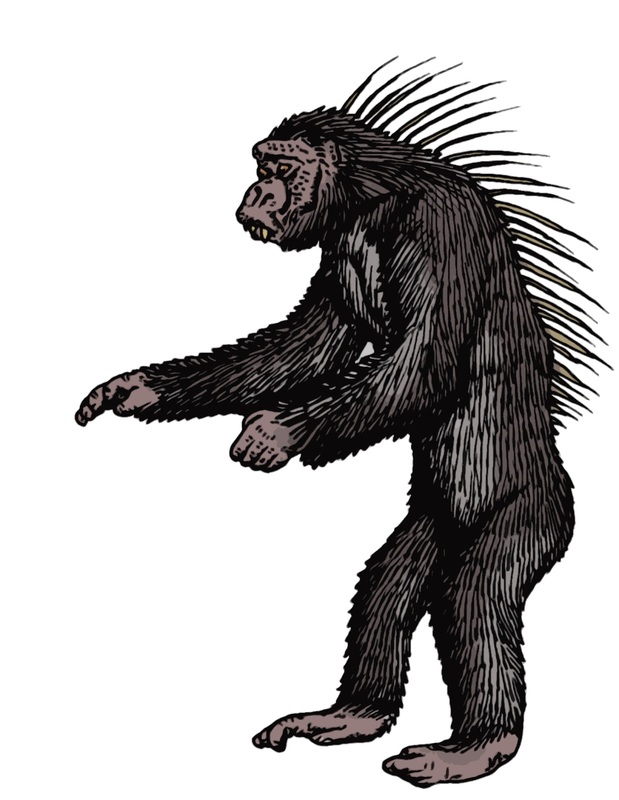 The possession of genuine spines by these apes seems highly improbable, but perhaps they sported distinctive manes or even erectile tufts of hair that superficially resembled spines. 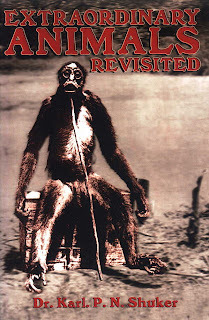 Moreover, manes have also been reported from certain other bipedal crypto-primates, including the batutut of Borneo (closely resembling the Sumatran orang pendek), the brown-furred Congolese kakundakari, and the Central American dwendi. 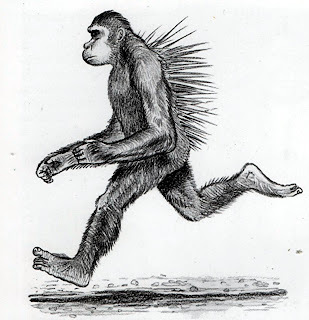 Indeed, were it not for the chimps' grey fur, they might even have been one and the same as the kakundakari, although kakundakari eyewitnesses generally claim that this latter entity is humanoid rather than anthropoid in form, and smaller than the spiny-backed chimps. 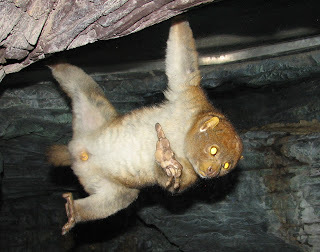 Among known primates, the only species that can in any way be described as spiny is a small loris-related African prosimian known as the potto Perodicticus potto. Its neck bears a series of small tubercles covering its elongated cervical vertebrae, which have sharp points and almost pierce its skin, and are utilised as defensive weapons. Needless to say, however, these do not even begin to compare with the quills described for the spiny-backed chimps discussed here. The bipedal nature of these chimps is very noteworthy too, as chimpanzees do not normally exhibit such behaviour as a habitual activity. With so little information and no hard evidence to examine, and not even any eyewitness names to pursue, however, there seems little else that can be said in relation to the Congolese spiny-backed chimpanzee. Could it simply be a hoax, or a figment of poorly-viewed or imperfectly-reported observations? Or might there really be a singularly astonishing strain of spiny chimp out there, still awaiting formal scientific disclosure - a veritable chupacabra chimpanzee, in fact?!! 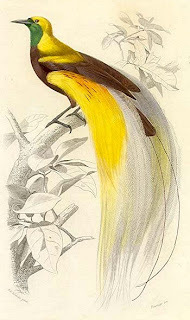 One of the most showy and flamboyant species of bird of paradise is the greater bird of paradise Paradisaea apoda. It also features in a very sad yet little-known episode in the history of attempted avian naturalisation programmes. 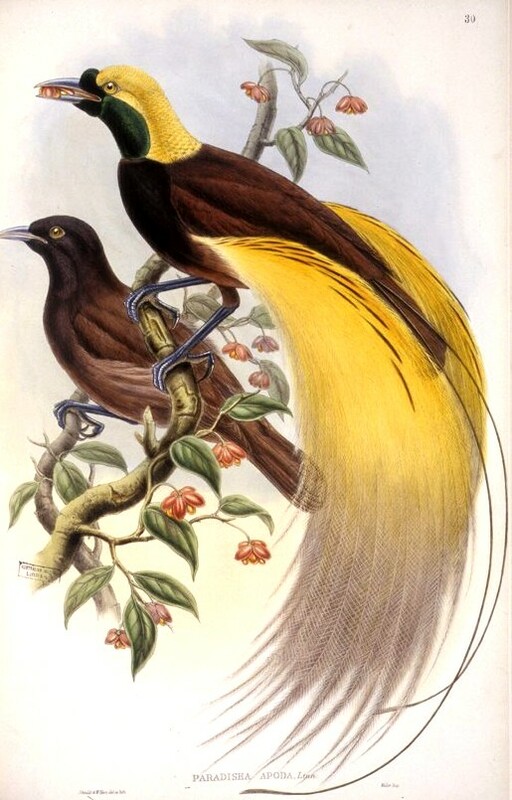 Native to southern New Guinea and the offshore Aru Islands, its numbers were depredated so severely for their cascading, flame-like sprays of gold, white, and maroon-hued flank feathers during the fashion craze for these latter-day phoenixes’ plumes, however, that this spectacular species seemed surely destined for extinction. Someone who resolved to avert this disaster, however, was newspaper magnate Sir William Ingram. Deciding that its best hope lay in repatriation far beyond the threat of the plume industry, Sir William (not a person given to small measures) bought an entire (albeit tiny) Caribbean islet - uninhabited Little Tobago in the West Indies, whose tropical climate would provide a home-from-home environment - and established a warden-monitored colony of P. apoda there, consisting of just under 50 immature birds captured alive during an expedition to the Aru Islands in 1909. Many introductions of exotic species from one part of the world to another have failed dismally, but happily the birds of paradise seemed to thrive in their new if unexpected home; and even though (thankfully) the introduction’s original purpose had been rendered obsolete - the plume industry collapsed before this species could become extinct in its native lands - the West Indian contingent was permitted to remain on Little Tobago after Sir William’s death. Over the years, the population remained relatively constant, rarely exceeding or falling much below the 20-30 individuals mark. 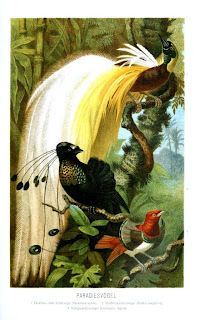 But then came Hurricane Flora, a meteorological monster that mercilessly lashed Little Tobago one devastating day in 1963, and remorselessly swept most of the hapless birds of paradise out into the rampaging waves, to their inevitable death. Only a handful remained alive, and most of those were males. The plucky little population was doomed — no specimen has been recorded from the islet for many years. The unexpected phoenix of Little Tobago had been extinguished not by flame but by wind and water, and just as surely as if it had been exterminated by the plume-hunters back home in New Guinea. 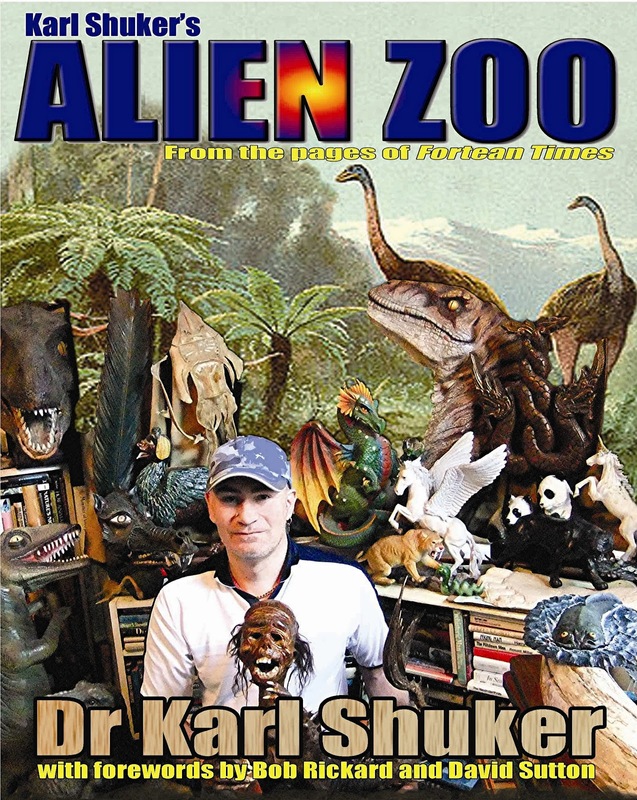 This ShukerNature post is an excerpt from my book Extraordinary Animals Revisited (CFZ Press: Bideford, 2007).